Add Composite Doors like these to your home. We install Composite Doors across Bournemouth, Southampton, Portsmouth, Salisbury, Fareham, Hedge-End and surrounding areas. With modern innovations making way for contemporary performance. With our composite doors, you’ll be able to enjoy the best of both worlds to enhance the comfort and security of your property to ensure it is the ideal place to be all year round. All of the composite doors that we offer are manufactured using an industry-leading profile, which enables them to capture impressive standards of thermal efficiency, security, durability, efficiency, weather proofing, performance and design. You can rest assured that you’ll be bringing a composite door to your home that will set the standard, constructed from premium grade materials to ensure they operate as a worthwhile investment for your property. 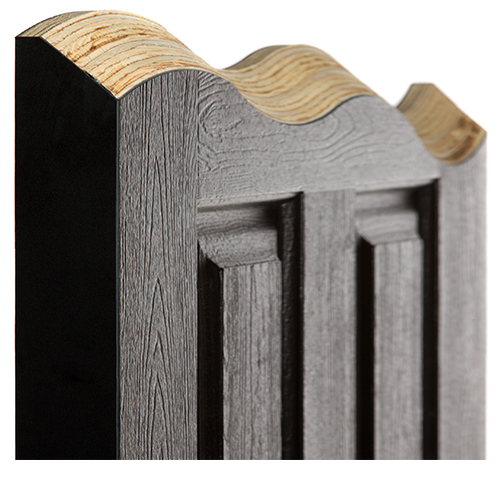 Our composite doors offer a timeless appeal across three unique door collections: Classic, Urban, and Country. This means that they can be tailored to suit a full spectrum of property styles and personal tastes, making it easy for you to bring a seamless new addition to your home. Whether your home is modern, traditional, period, heritage, or new build, we’ll be able to install a composite door that suits what you’re after. Thanks to their modern design, our composite doors are able to achieve an impressive u-value of 1.8. This means that the warmth from your central heating will be able to stay in your home for a longer period of time, ensuring the cold winter winds are kept at bay without compromising on style. A low u-value is indicative of modern design, increasing the heat retention of your home to offer a range of benefits. One of the benefits is the fact that you could find yourself saving money on your heating costs, as you rely less frequently on your central heating to keep your home at the right temperature. In turn, this means that you could use it less and cut down on your heating bill as a result. Another aspect is that less heat escaping also means less energy use, which will enable you to reduce your carbon emissions and carbon footprint simultaneously. Our composite doors are one of the most secure on the current market, utilising a solid timber core that makes them 10% thicker than other doors and the Federal UCF Locking Cylinder: UK’s highest accredited lock range. These locks have undergone strict testing, proving themselves to be to British Kitemark standard. Not only do these locks comprise a design that combats modern burglary trends, they are also integrated into the frame by our team to ensure they can’t be accessed easily. Further to this, our composite doors are able to achieve Secure by Design (SBD) accreditation which means they have been approved by a police-backed initiative. All of our composite doors have undergone an extensive testing process that ensures they uphold the crime prevention standards of SBD, allowing you to enjoy the peace of mind that comes with knowing you are enhancing your property with an unrivalled standard of security. The composite doors that we offer can be customised in a wide variety of ways, including through a comprehensive selection of colour options. With a wide selection of shades at your fingertips, you’ll be able to bring a personal touch to your door that makes it a seamless complement to your property. With our woodgrain foils, you’ll enjoy the timber look without the headaches. Although our composite doors echo the look of timber, you won’t have to suffer any of the maintenance problems that can be associated with the material. This means that you won’t have to worry about the doors rotting, warping, cracking, discolouring, or fading over time or when they are exposed to the elements. Further to this, they’ll never stick when they get wet. Our expert team are able to ensure you get a composite door installation that ticks all the boxes, which means you can rest assured that your door will look and perform exactly is it is designed to. We always operate to the highest standards of professionalism, reliability, efficiency, promptness and complete respect for your home.